How to make voice calls louder in an Android phone? I would like to make my voice calls louder other than increasing call volume. Are there any tweaks or apps to do this? Why do the calls go straight to the voice mail on Android HTC Eris? Why the ringtone is louder than the music in my Samsung galaxy y? How to set up Google Voice for getting incoming phone calls in android? Re: How to make voice calls louder in an Android phone? There are apps for such purposes. Most android phones already have a feature capable of making voice calls louder. Hearing Aid feature will be helpful in this context. In the Menu, go to Settings. Tap Call. Now select Hearing Aids. Activating this option will make voice calls louder. You may also download the 'IntelliRing' free app in android to personalizing sound settings. >> Click on "Tap Call"
Request you to reboot your device after installing any application. :: Go to the home screen page by pressing ""Menu"" button. :: After that select and open the "Call" option and then open the "Hearing Aids". :: Once it opens, you have to see the voice calls louder option. :: Now you check the option, if it is unchecked that means your voice calls louder is activate. :: By doing this your calls is louder. 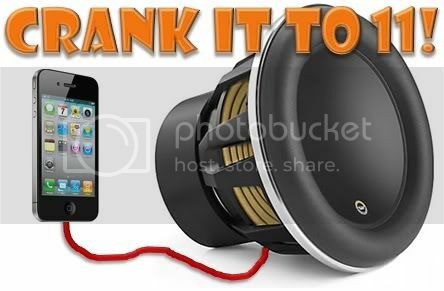 :: You can also activate the “Xloud” function in sound settings; this will enhance the speaker loudness of your device. Touch the options>hearing aids buttons. Now it will make the voice calls louder. Actually so many peoples think personally, so that they built the device speaker audible to the listener, you entirely differed from all. The only option available to you is as our moderator said that apps for this only helps. All the Best for best results..
- Click on hearing aids. - Otherwise download & install IntelliRing app to make voice calls louder. to make voice calls louder in an Android phone? 1ST==>> Go to Home page. 4th==>>select the "Tap Call" option. iii)Select & tap on "Settings" option. iv)Now choose & hit on "Tap Call" option. v)In that select "Hearing Aids" option. vi)Finally hit on "ON" mode to enable it. You have many apps available for this purpose on the Android market. Is it possible to make telephone calls via Bluetooth or Wi-Fi on Android phone?